Kansas Truck Mobility carries a full line of automatic and manual wheelchair lifts for vans, sedans, SUVs and trucks. With established brands such as Bruno, BraunAbility, Ricon and Harmar, Kansas Truck Mobility’s trained and factory certified staff will work closely with you to determine the best mobility lift solution for you. 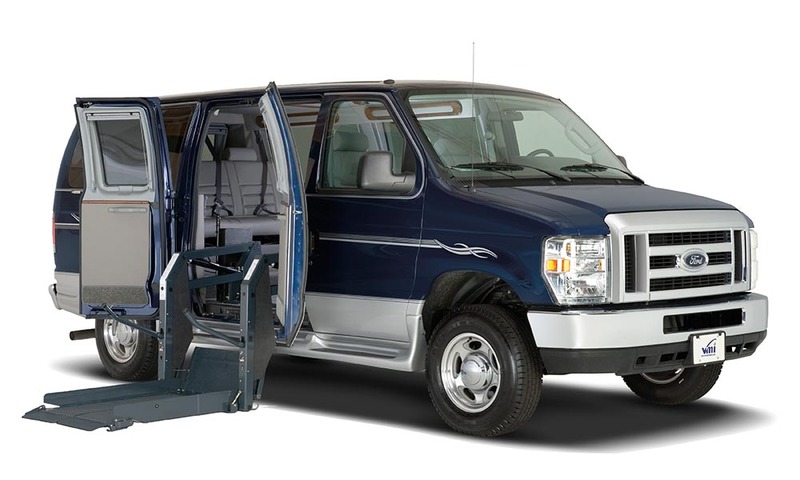 Exterior, interior and trunk mounted wheelchair lifts let you lift and load with ease! Several options for full size lifts are available for full size vans with ergonomic hand-held control and illuminated functions. We carry over 25 styles of Bruno wheelchair lifts. Exterior and interior platform lifts; manual, semi-automatic and fully automatic lifts; and, winch style lifts. See a full demonstration of wheelchair lifts in our showroom. Use Bruno’s Joey wheelchair lift to store and transport your scooter or power chair easily. 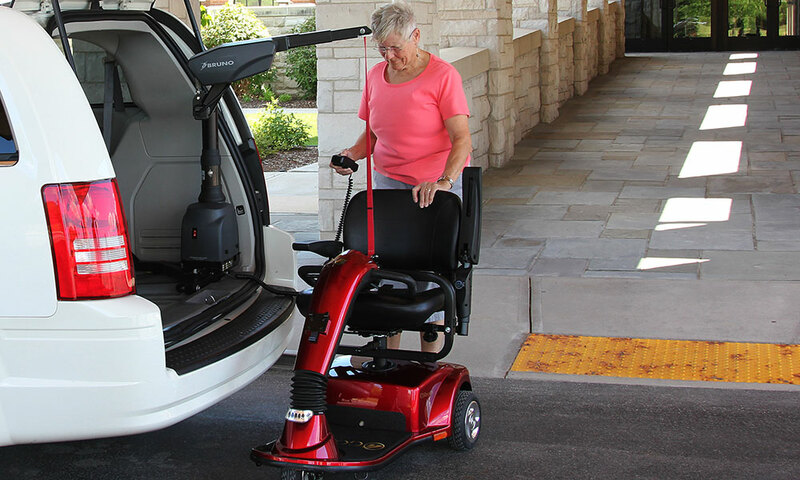 Several options for full size lifts available from BraunAbility such as the Millennium Wheelchair Series™, the Under Vehicle Series®, and the Century Series™ Series Lifts for full size vans with ergonomic hand-held control and illuminated functions. We also carry the Klearvue line of lifts by Ricon. For those who rely on their wheelchair as seating in their vehicle; the EZ-Lock system is the absolute best solution for travel safety and security. The base lock is the heart of the EZ-Lock Wheelchair Restraint System. 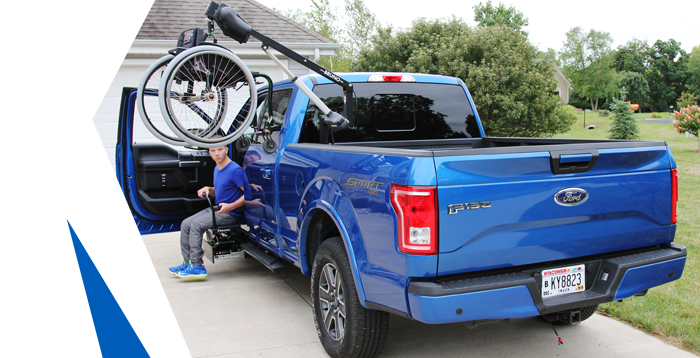 Once the base lock is mounted to the vehicle floor, it acts as a receiver for the docking pin attached to the wheelchair, making your entry fully automatic, and minimizing the need for precise maneuvering. Q’Straint introduced the world’s first fully integrated 4-point wheelchair passenger securement system, the industry standard for more than 25 years. Each component is designed, engineered and tested to work as one cohesive system. In the event of a collision or sudden stop, the system isolates the forward forces of the occupant from those of their chair by directing the chair’s forces to the vehicle floor. Kansas Truck Mobility is pleased to offer quality wheelchair conversion minivans by BraunAbility, VMI and Eldorado Mobility, industry leaders in premium handicap accessible minivan conversions.